The software fix will limit the time that an idle Volt can be left in the "on" position. DETROIT -- General Motors is recalling about 64,000 Chevrolet Volts from the 2011-13 model years for a software update to limit how long the car can be left idling, a move to prevent carbon monoxide buildup when a driver forgets to shut off the vehicle. GM said in a statement to Automotive News that it is aware of two injuries related to the issue, both from carbon monoxide exposure. The problem can occur if a driver inadvertently leaves the plug-in hybrid running while it's in electric mode, which eventually will drain the battery and cause the gasoline engine to turn on. "If the gas engine runs for a long period of time within an enclosed space, such as a garage, carbon monoxide could build up," GM said. 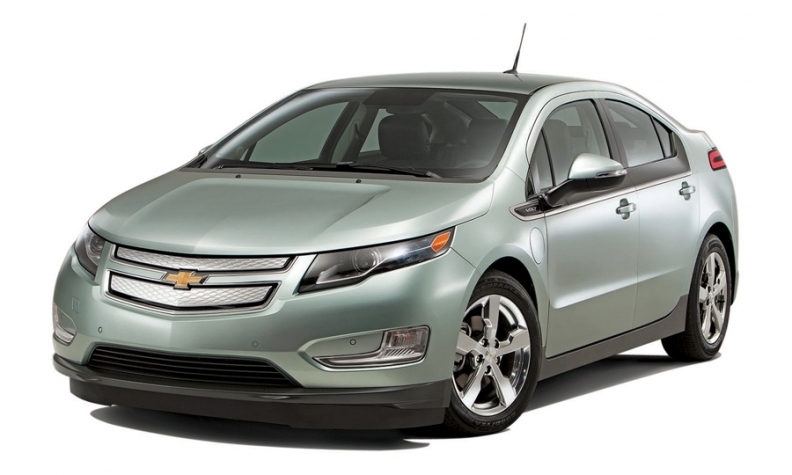 The Volt emits a warning chime to alert a driver who has exited the car that the vehicle hasn't been turned off. The software fix will limit the time that an idle Volt can be left in the "on" position. Separately, GM told dealers today to halt deliveries of the 2015 Chevrolet Trax and Buick Encore small crossovers for a pending safety recall to fix a potential loss of electric power steering. A GM spokesman said about 2,300 of the crossovers are subject to the stop-delivery order. In some of the crossovers, the steering column assembly housing may touch against the power steering printed circuit board, GM said in a memo to dealers. "This contact could eventually cause enough wear on the power steering printed circuit board to cause a sudden loss of power steering assist," making it more difficult to steer and increasing the risk of a crash, the memo says. GM said it is working with the supplier to get the parts needed to fix the defect. It said dealers will be asked to inspect and possibly replace the steering column assembly. The steering defect is similar to a problem that prompted Toyota on Wednesday to recall 110,000 Camry sedans and Highlander crossovers. GM has notified the National Highway Traffic Safety Administration of both the Volt and the Buick and Trax recalls, GM told dealers in separate memos issued today and Wednesday. The agency hadn’t posted either recall notice to its website as of Thursday afternoon. The cars being recalled include 50,249 Volts in the U.S. and another 13,937 that are in Canada or that have been exported.